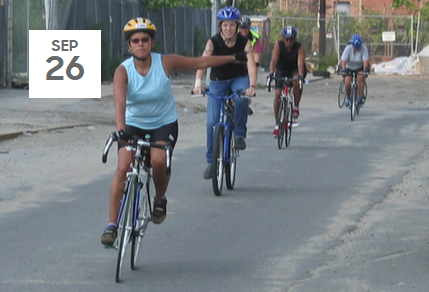 Street Skills Rides are free weekend programs for adults and mature teens who want to increase their comfort and confidence when cycling on city streets. After you’ve taken our Street Skills Class, you can use your newfound knowledge to tackle our bike-handling skill drills, and then top it off with a small group ride of 5-8 miles with similarly-skilled cyclists and League-certified Cycling Instructors. Registration policy: Advance registration is required of all participants; walk-up students are not allowed. Prerequisite: Students must attend an evening Street Skills Class before participating in a Street Skills Ride. *Anyone who chooses to bring their own bicycle must ensure that the bicycle fits and is in good working order (i.e. wheels spin freely, brakes function).